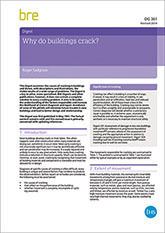 Cracks are inevitable in virtually all types of construction because of the kind of materials we use, the ways in which we use or misuse them and the service conditions that our buildings experience. Nevertheless, cracks are often unsightly and, to the uninitiated, may be a sign of serious problems. Whether a crack is cause for concern or not, of course, depends on circumstances, and whether subsequent action is needed depends on correct diagnosis of the nature of the problem that brought it about. 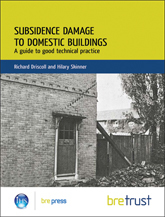 This book, first published in 1996, sets out basic information on the science of materials behaviour, which is relevant to understanding how and why cracks occur. Given that understanding, much can be done to avoid their occurrence, and to diagnose their cause and repair them so that they do not recur. This second edition updates references and any aspects of the methodology that have changed since the first edition was published. 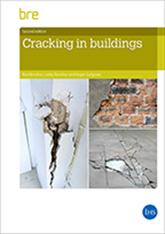 It is hoped that readers will find merit in this book in that it collects relevant information into one source, treats cracking in buildings as a subject in its own right and provides a systematic approach to whatever is the reader’s role in the building business. 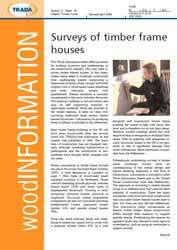 Its content should therefore be of interest to all who own, occupy, design, build and maintain buildings.